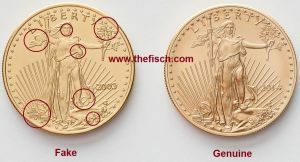 Fisch News: Use Caution To Avoid Gold & Silver Fakes, Advises Professional Numismatists Guild - Dont buy fake gold coins. Get the Fisch. Protect your gold investment.